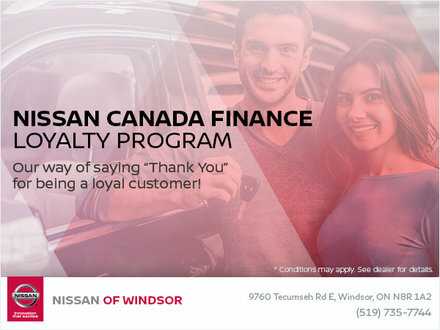 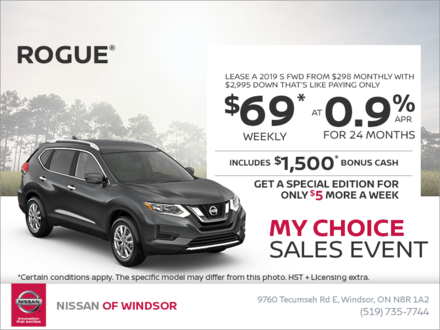 The special offers, rebates, and seasonal offers offered by Nissan of Windsor are our way of thanking clients for their business. 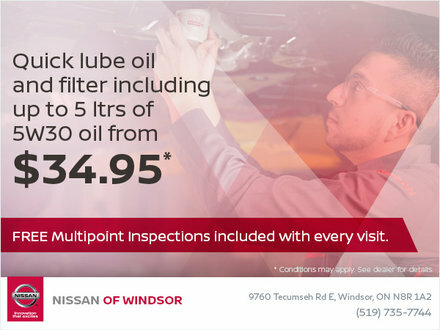 They are also made available to ensure that you are always provided with plenty of value when you come in and visit us. 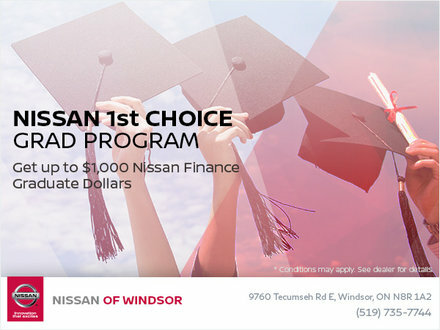 At Nissan of Windsor, we like to help you save money. 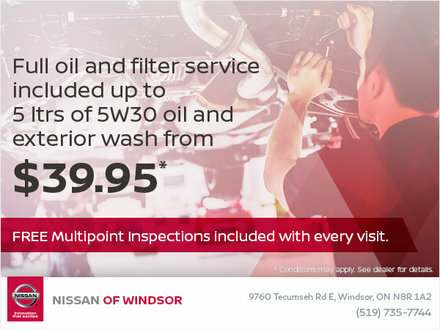 At Nissan of Windsor, our special offers extend to all of our departments, from maintenance and repairs to our new and used vehicle departments. 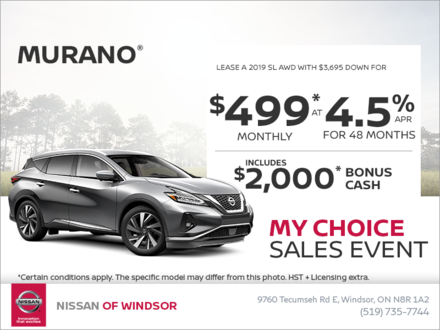 When buying a new Nissan vehicle, you will find a wide range of rebates on most new Nissan models as well as low-interest financing and leasing rates. 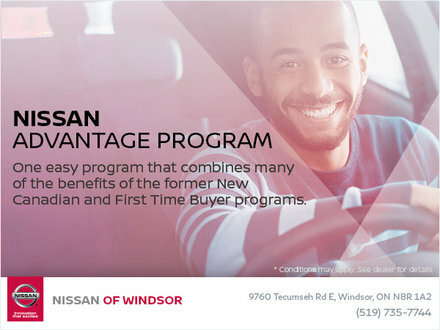 We also provide plenty of affordable financing options on all of our certified pre-owned vehicles. 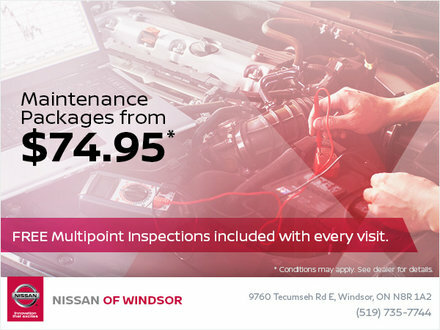 And if you are already a Nissan owner, we invite you to take advantage of all of our special offers on our maintenance and detailing services, as well as on our genuine Nissan parts and accessories offered at Nissan of Windsor. 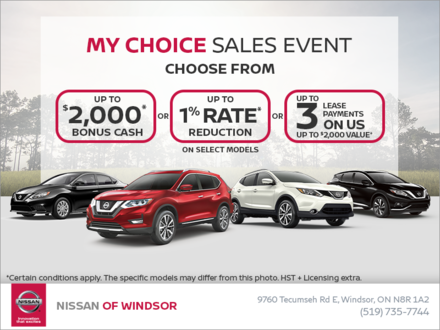 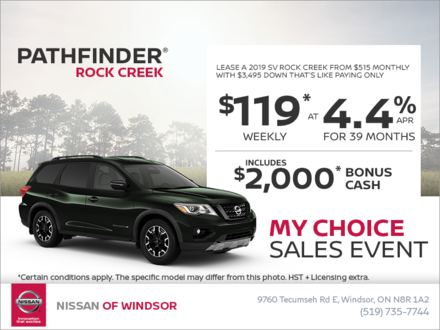 To learn more about our special offers and discounts, contact us today at Nissan of Windsor.